Accounting firms, financial advisors, and legal firms are now all facing the same challenge when it comes to generating new leads - traditional outbound sales and marketing methods are no longer as effective as they used to be. Mass emails are often left unopened, and people shy away from answering cold calls. The customer is now in the driver's seat, and is spending more time researching and buying services online. Therefore, marketing for professional services needs to reflect this change and meet prospective clients on their terms. This is where inbound marketing can help. Inbound marketing is a complete reversal from old product marketing such as buying ads, and email lists and praying for leads. Instead, inbound marketing focuses on creating quality content that pulls people toward your company and product - where they naturally want to be. Rather than working hard to go out and grab attention, inbound marketing helps you attract visitors, leads and prospects through your website and other digital channels. People are spending most of their time online these days. If someone has a problem or question, the first step is to usually head straight to Google. Whether it's searching for a lawyer specialising in intellectual property, or a financial advisor offering tax advice, any potential client is looking for answers online via searches or the social networks they're engaged with. Professional services need to make sure they are embracing this new buying process and meet prospective clients there. This is what inbound marketing is all about, instead of disrupting prospects with more traditional modes of marketing (mass emails, print, broadcast advertisements), you are engaging with prospects on their terms. Inbound marketing is multi-channel by nature because it approaches people where they are, in the channel where they want to interact with you. It enables you to meet prospects on their terms and address their concerns. Think about what your buyer needs and how you can help them. Then answer this for them on your website, your blog, and social media platforms. With an inbound strategy you want to establish yourself as a thought leader in your field with educational content that will attract qualified leads. When prospects are searching online, you want them to find your blog, ebook, or video so you can answer their basic questions and needs, and build your reputation. By giving away a sample of of your expertise, you encourage prospects to engage with you as they move towards a purchase decision, and build trust in your firm. Blogging- try to build a solid blog catalogue by publishing quality content regularly. Blogs are an infinite resource that can be republished and reused and continue to bring traffic to your website. Social media - everyone is spending an increasing amount of time on social media these days. Think about where your prospects are likely to be, and start talking to them. Once you have reached prospects with quality content and driven them to your website, you want to make sure it then works for you. A successful inbound marketing strategy will use conversion pages to capture information about any potential lead. If your website content matches the needs and concerns of the prospects visiting your site, they will be more willing to give you their contact details in exchange for the valuable information you have to offer. Your next step is then to follow up with them and convert them into paying customers. The key to inbound marketing is to do your research to understand who your ideal customer is and where they are spending their time online. Understanding who you should be talking to will inform your content creation and help generate quality leads. 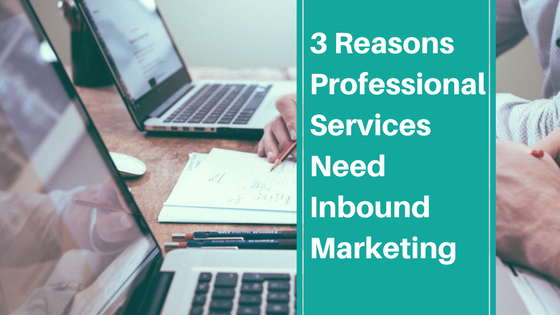 Inbound marketing can be a daunting task as it's a change from many longstanding sales and marketing traditions, but it is a worthwhile investment.